Pics and video Elon Musk finally got to unveil Tesla's Model X luxury electric sports utility vehicle, and showed off some literally ludicrous features the car has to offer. The delayed Model X is a four-door SUV that uses the power unit and drive system of Tesla's Model S sedan and produces nearly as good performance, albeit with a $132,000 price tag for the basic 90D model shown off at launch; just about right for a former tech bro with a couple of kids and some valuable stock options. The 90D model has a range of 257 miles with its 90-kilowatt-hour battery pack, includes all-wheel drive, does 0-60mph in 4.8 seconds, and has a top speed of 155mph before the electronic limiter kicks in and slows the speed of the family car. Pay an extra $10,000 and you get the P90D (P for performance) power pack that gives the car Ludicrous mode acceleration, shifting the SUV to 0-60mph in 3.2 seconds and zooming the car up to its limited speed 20 per cent faster. Inside the vehicle there are three rows of seats, although the middle row can be moved back and forth for packing in the shopping/children/dogs. The front windscreen is the largest available on the road and extends over the driver's head. The two front doors of the Model X are standardly hinged, and they open automatically when the key holder approaches and close when they sit down. 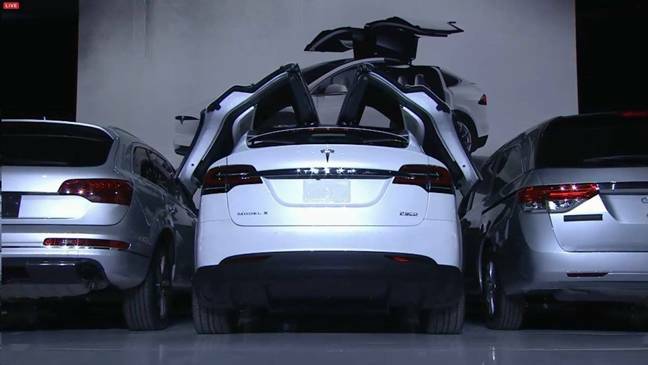 But access to the two rows of back seats is via gullwing doors – dubbed "falcon wing" by Tesla. The double-hinged doors need a foot of space on the sides to open, and use sensors in the door and roof to detect obstacles that would scratch the paintwork. 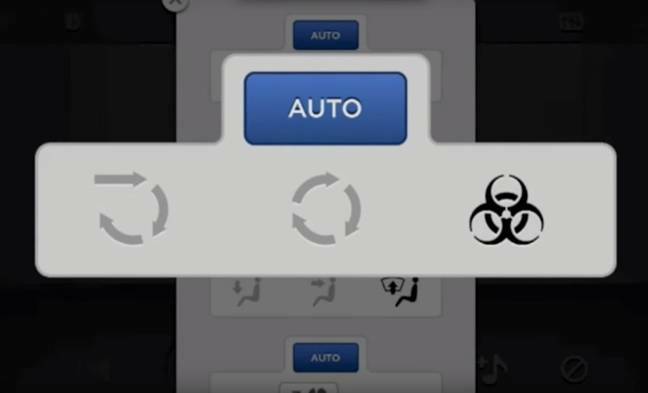 The car uses a high-efficiency particulate arrestance (HEPA) filter to filter out pollen and dust via the air conditioning systems, but also has a "bioweapon defense mode" that increases the filtration and overpressures the interior of the car to prevent air from getting in. The very first model has gone to Musk himself, with the second one off the line reserved for Tesla director and venture capitalist Steve Jurvetson – who also snagged the first Model S. A source close to the company said the third model was reserved for Sergey Brin, an early investor in Tesla.